Ласкаво просимо всім моїм читачам українському! For some reason, I get a lot of hits on my blog from Ukraine. I'm not sure if any Ukrainians are actually reading my blog or if they're just stumbling upon it by accident. On my statistics page, Ukraine comes up with the second highest number of hits. I understand that many Ukrainians speak English as a second languaage, so that might be part of the reason. 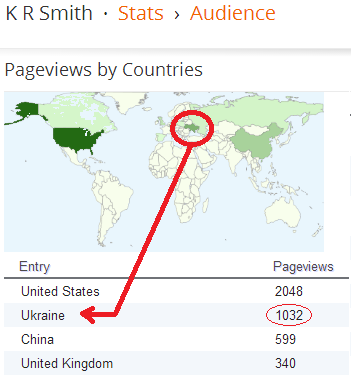 I certainly don't mind them reading my blog, The more Ukrainians the better, I suppose! If you're a reader from Ukraine, let me know! And maybe even tell me why you're reading! If you have an interest in writing, or have a question, please leave a comment below.